Melbourne: Serbian tennis star Novak Djokovic on Sunday recognized the stellar performance he needed to put in to defeat Spaniard Rafael Nadal for his record seventh Australian Open title. 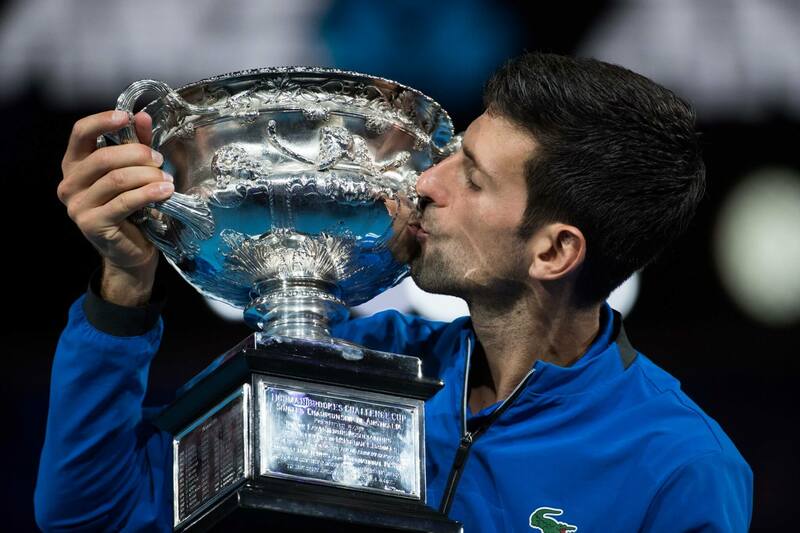 Despite having won 14 other Grand Slam titles, including three consecutive trophies by defeating Nadal in the final of the 2011 Wimbledon, the 2011 US Open and the nearly six-hour at the Australian Open championship 2012 match, Djokovic singled out his most recent title, reports Efe news. “It ranks right at the top. Under the circumstances, playing against Nadal, such an important match, it’s amazing,” Djokovic said after prevailing over the former world No. 1 in just two hours and four minutes. Djokovic was untouchable throughout his 53rd match against Nadal, as he faced a lone break point, winning 40 out of 50 first serve points he put in play. Even more impressive is the fact that the Serbian player managed to break Nadal’s serve five times, nearly triple of the times the Spaniard has dropped his delivery throughout this fortnight. The 32-year-old Nadal conceded his serve two times against Australian wildcard James Duckworth in the first round and never lost his service game afterwards on his way to the final, which was a whole different story. “I think I made 15 unforced errors in total in two matches. It is quite pleasantly surprising to myself, even though I always believe I can play this way,” Djokovic said. This dazzling display brought to the minds the dominating performance that allowed Djokovic to achieve a great breakthrough in 2011, when the only major tournament that resisted his streak was the French Open, which continued to elude him for five years until 2016, when he won his maiden and lone Roland Garros title. A few months after clinching the much-anticipated title, Djokovic’s career was marred by an elbow injury that forced him to undergo a surgery in early 2018. “I wasn’t playing well, I wasn’t feeling good on the court, I was questioning everything,” he said. “I was doubting whether I would be able to play everyone on this level, because I didn’t know to what extent the operation of my elbow would affect my game,” Djokovic added. But after nearly a year, the Serb celebrated his third consecutive Grand Slam title, having added the 2019 Australian Open triumph to the victories in the 2018 Wimbledon and US Open titles.